Cathy and Alison and I ran our stand at the Village Evening last night. We did our best to promote the Club and recruit new members at this event, which takes place in the Village Hall every 4 years. All the Clubs and Associations have an opportunity to present themselves as local people wander about. The free drink was very welcome, and the new kit was proudly on display, as you can see. 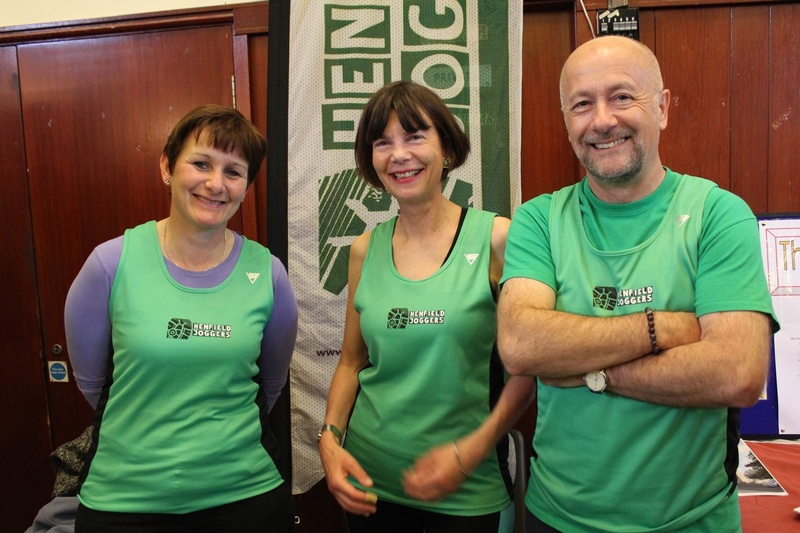 Whether any new members join is something we’ll have to wait and see, but we kept the flag flying for Henfield Joggers!